BPS Research Digest: Does Psychology have its own vocabulary? If you were to pick up the flagship journal from a discipline that is foreign to you and flip to an article at random, how much do you think you would understand? Put a different way: how much of the vocabulary employed in that article might you misinterpret? 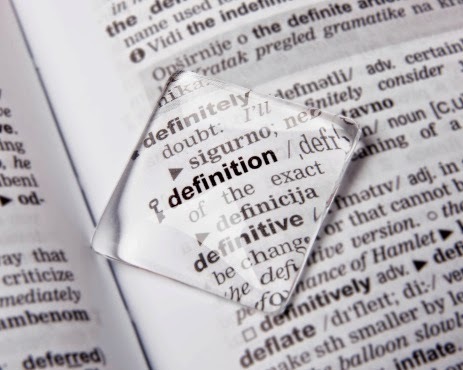 The vocabularies used by any given discipline overlap with those of many other disciplines, although the specific meaning associated with a given term may be dissimilar from discipline to discipline. Anglophone psychology, for instance, has been previously shown to share much of its vocabulary with other disciplines, especially: biology, chemistry, computing, electricity, law, linguistics, mathematics, medicine, music, pathology, philosophy, and physics. But how much of psychology’s vocabulary may be said to be unique to itself? In a recent article in History of Psychology, John G. Benjafield of the Department of Psychology at Brock University (Canada) compared the histories of the vocabularies of psychology and the 12 disciplines listed above. Constructing databases for each of the disciplines using entries in the Oxford English Dictionary, Benjafield examined the rate of primary vs secondary words (ie. how often a word was used for the first time by a discipline vs. how often a word was appropriated from the vocabulary of another discipline) along with the dates of first usage of these terms, and the polysemy of the vocabularies (i.e. the number of different meanings held by a given word). So does psychology have its own vocabulary? The answer seems to be: somewhat. The majority of the vocabularies of all 13 disciplines were formed of secondary words; that is, the bulk of their vocabularies are formed of words that were first used in the English language by another discipline (often with another meaning). But, psychology was nonetheless found to have some unique characteristics with regards to its vocabulary that you may not have expected. First, Benjafield found that computing and linguistics have the highest percentage of secondary words in their vocabularies (97 per cent and 94 per cent respectively) while psychology and chemistry had the lowest rates of the disciplines examined (65 per cent and 62 per cent). In light of these results, psychology’s vocabulary may been described as being less metaphorical in nature than previously assumed (especially when compared to computing and linguistics). Moreover, whereas the other subjects in this study showed a collective tendency over time to increasingly assign new meanings to existing words, psychology has been following the opposite pattern – that is to say that, over time, psychology has tended more and more to invent new words for its purposes than the other disciplines. Finally – and perhaps the most surprising conclusion to come out of Benjafield’s study – the history of the vocabulary of psychology has been shown to be most characteristically similar to chemistry. Personally, this one caught me by surprise: I would have expected closer connections to philosophy and physics based on the way the discipline of psychology developed over time. But Benjafield’s vocabulary analysis paints a different picture in which psychology has been strongly influenced by the naming practices of chemistry.